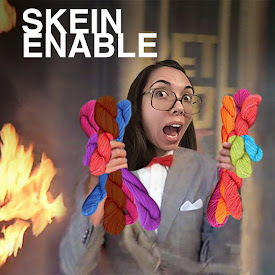 Enabling your crafting addiction, one episode at a time. New episode up! I chat about my progress on everything and announce the dates for the First-In-First-Out craftalong. Jill redid the ribbing on her Fixation hat by Ann Weaver out of Spincycle Dyed in the Wool yarn. She unpicked the ribbing off of the hat, and knit ribbing back down on smaller needles and a few less stitches. Jill did lots of spinning for Tour de Fleece. 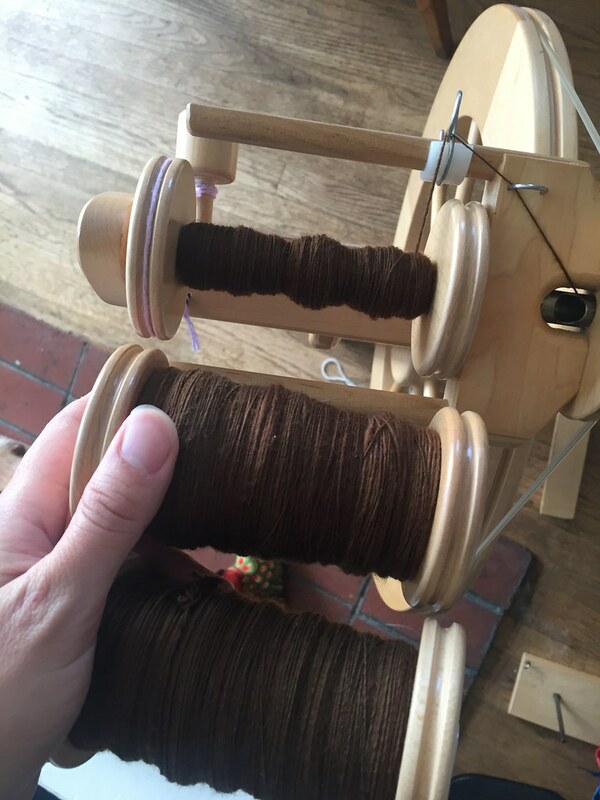 She spun a 3-ply skein of Naturally Stoned Stick and Stone Fiber Arts batts in a naturally dyed brown color. She has a lot more of it to go! 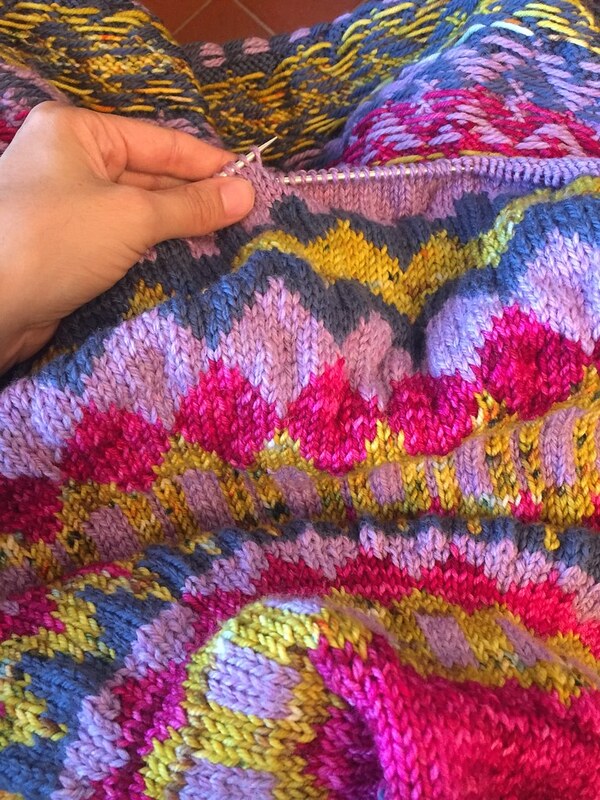 Jill's been working primarily on her Ninilchik Swoncho by Caitlin Hunter. She is using Cloudborn Superwash DK in Lavender Heather and Cloudy Skies, Junkyarn DK in Indira and Dragonfly Fibers Traveller in Coleus. Her Rav page here. She started the Biophilia shawl by Mary-Anne Mace in Tosh Merino Light in Scarlet. She bought the yarn to make an Oranje by Ann Weaver, but the yarn bled too much to risk colorwork. Jill loves a couple new colorwork sweaters, Ixchel by Catherine Clark from the new pompom quarterly Issue 26 and Lady of the Lake by Kaffe Fassett. She thinks Sparky the Pig by Cindy Pilon would make a cute felted piggy bank. She thinks Compass by Buttonnose Crochet would be a great star blanket pattern for her Caron Cakes. Jill is planning to make a Wool & Honey by Andrea Mowry for the FIFO CAL! That is the First-In-First-Out Craftalong, starting September 1. Find a pattern that you've been meaning to make for years, or stash you've been meaning to work up for years and let's give those oldies some love!